Wow ! ok this is a somewhat expensive battery , but it certainly looks to perform really well . Im charging the battery again , and hope to have some flashlight performance figures [ Amps Delivered ] to post soon . But looking at the discharge results , it looks like the Nitecore 18650 can do 3A rather easy , so I hope the performance figures , from running in some XM-L lights will reflect this . Wait, the capacity is higher at 3 amps then at 1 amp? Da fuq? Nice but how expensive old? $12 per cell shipped ! VIA Ebay .. 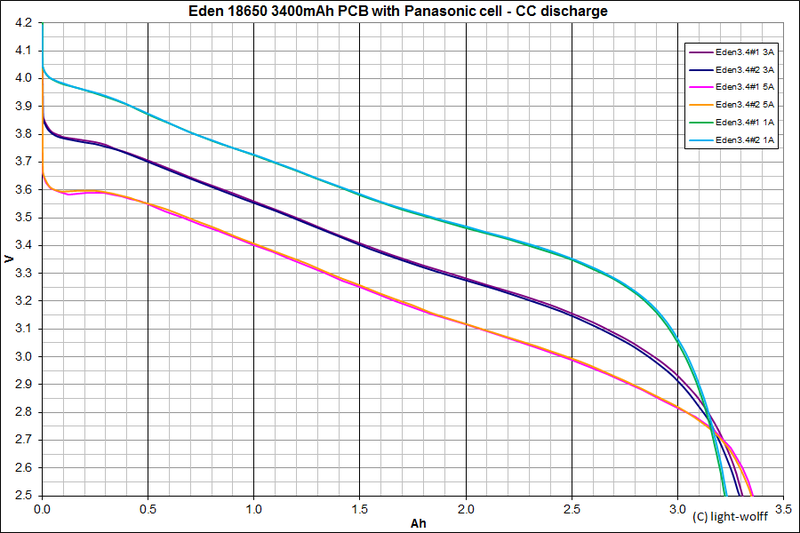 Yes Higher capacity at higher output , I can only assume the battery is getting better with some use , this is rather normal , as a lot of batteries need a few cycles to be at there peak performance . It cannot be that a cell has less resistance at a higher current flow. Not even A123 LiFePo4 would match this Nitecore cell. When cells get warm, the internal resistance goes down. This leads to a higher capacity. Yes in fact the resistance will go down with higher temperature. Can you show me a review where this can be seen, because of higher current there is a higher capacity at the end. And I have the MM reading battery voltage , rather than trusting the hobby charger .. So voltage sag under load should be less of a factor , so discharges are more accurate .. So now it terminates at set voltage , and any induced error with the hobby charger is now negated . So its about as accurate a result as I can give you . I was thinking to get some 18650 for a future light and was wondering if you’d recommend these Nitecore or the Xtar 2600 mAh (sanyo) instead? i have 3x xtar 2400mah also sanyo based and they work fine. Dont know how they compare, but first check the length, if they’d fit in your light. You can’t go wrong with either of these.